Rainbow Textiles has suspended production and losses are mounting. Can you trace the cause of the mysterious mark on many of the clothes - and save the business? You have a full brief and details of the factory. A Databank managed by the facilitator holds all the relevant data about the factory, the staff, possible causes. Teams can only access it via written request. What should you ask for? As the data builds, you gain a clearer picture, but there are plenty of red herrings along the way! You’ll develop a problem-solving strategy; a step-by-step logic or brainstorming or both. 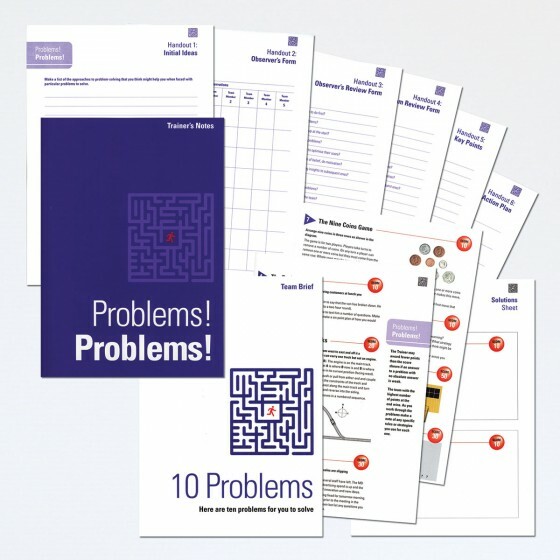 Can you use your problem analysisskills to pinpoint the problem? The exercise looks at the pros and cons of different strategies as well as examining the way groups organise themselves, resolve conflict, communicate and retrieve data. It highlights the need to obtain full details, think logically and to ask the right questions. 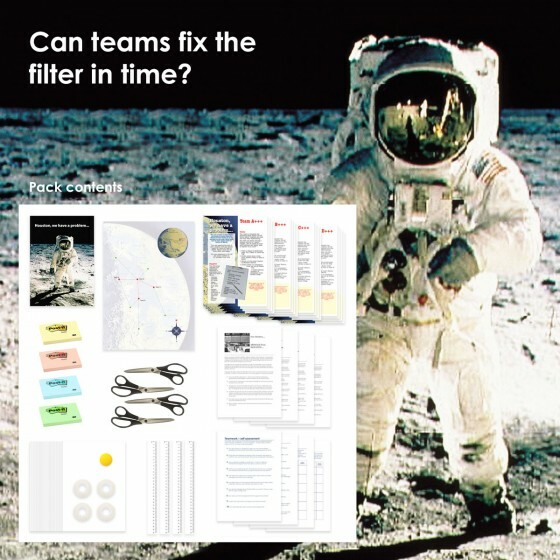 Divide participants into teams and issue copies of the Briefing Sheet. Set times when the Databank is open and accept up to 10 questions from each syndicate. Hand groups the appropriate Datacards that answer the questions asked. Allow time for analysis and then take another round of questions, up to a maximum of three rounds. 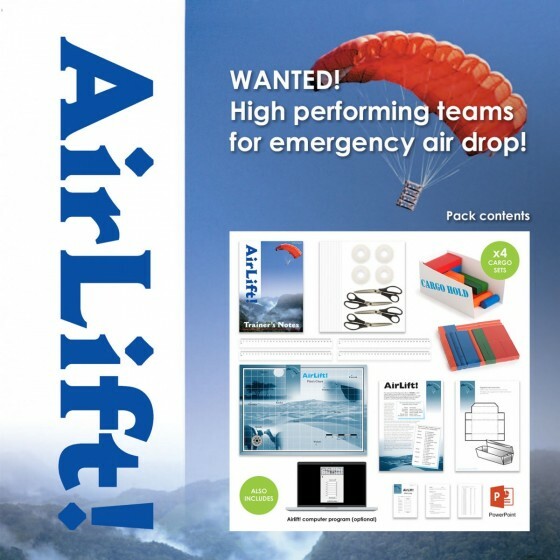 Call upon each group to make a presentation – of the problem and how best it can be rectified. Lead a discussion on how the teams worked and how they might have improved performance. An excellent exercise. We use 'Problem Analysis' on our supervisory development programme as an introduction to the whole subject of problem-solving and decision-making. We use 'Problem Analysis' in the problem-solving session on a basic management programme for managers from different areas of the company. 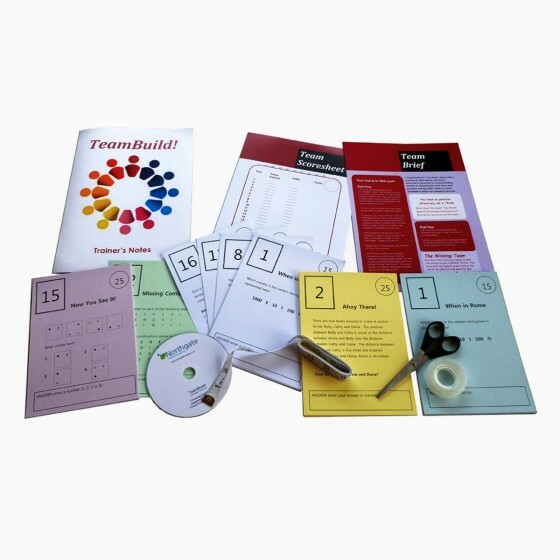 It’s extremely useful in giving participants something practical rather than theoretical. 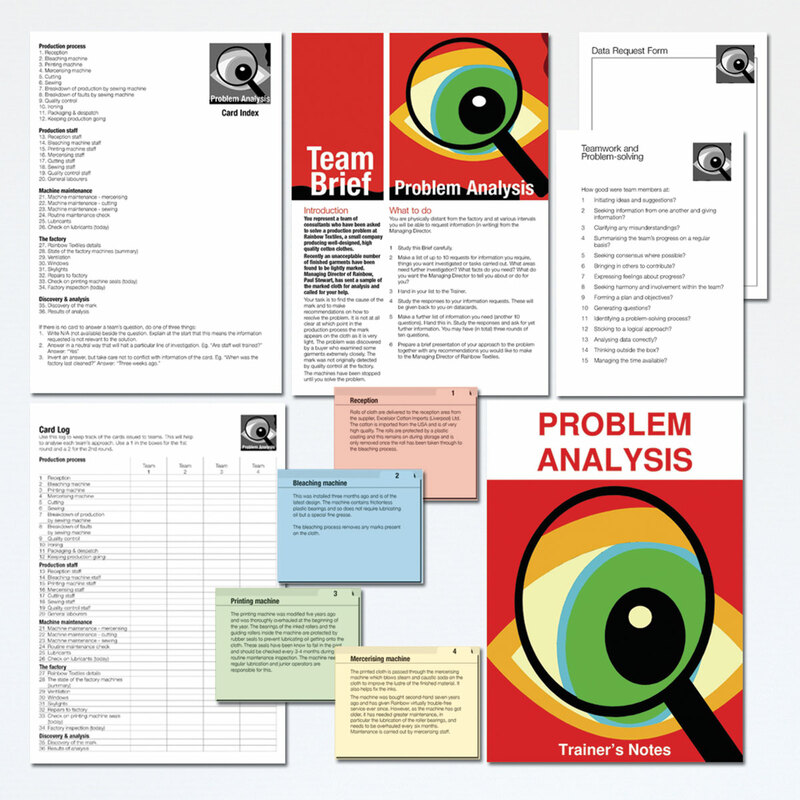 'Problem Analysis' is a superb package to promote and stimulate analytical thinking and risk analysis. An excellent exercise - we used it with managers from Africa and the Middle East. It was extremely beneficial and thoroughly enjoyed by all.